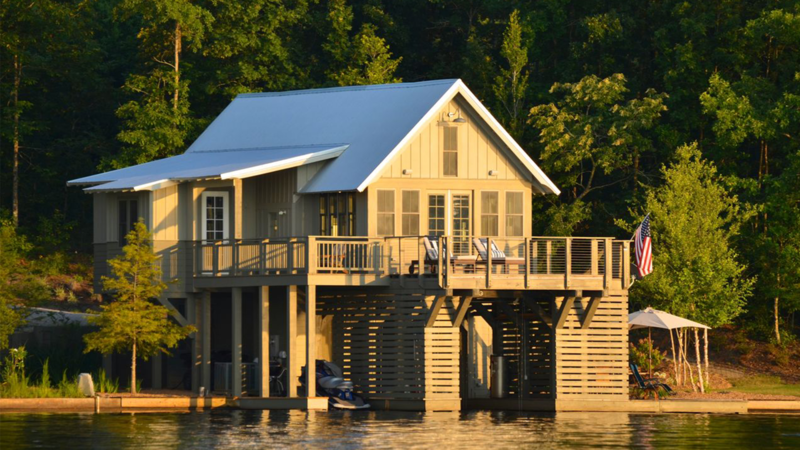 Big Bay Lake is a one-of-a-kind lake community on Mississippi's largest private recreational lake located in Lumberton, MS.
Blended seamlessly into its natural surroundings, Big Bay Lake is simply about the lure of the water. 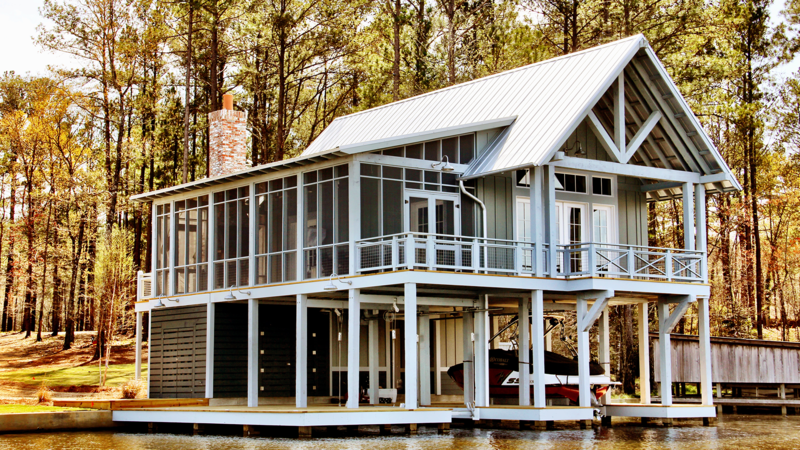 The man-made lake is over 1,000 acres, 3.34 miles long and boasts 19 miles of winding shoreline to locate your dream home or weekend retreat. 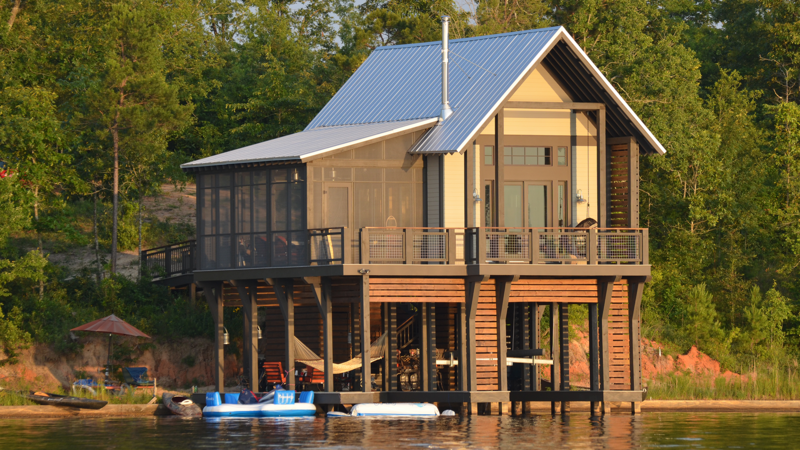 The boat house "houses" can be uniquely designed with boat slips at the water's edge and living quarters on the floors above. 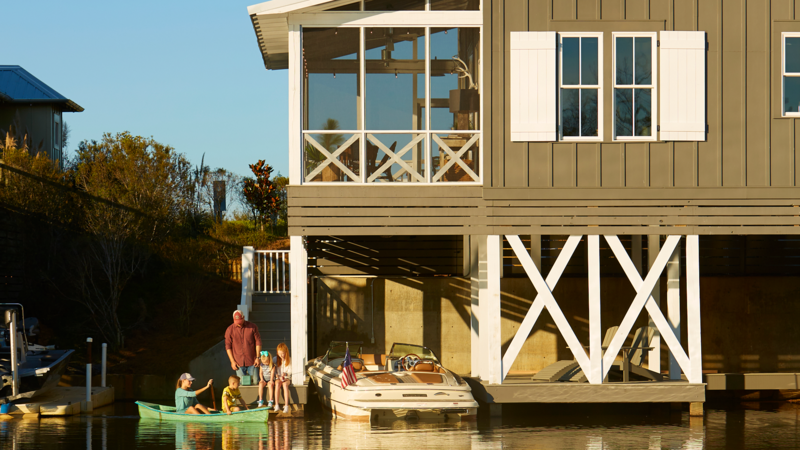 Located only 90 Miles from New Orleans and 20 Minutes from Hattiesburg, Big Bay Lake is ideal for those wanting to escape the hustle of life and simply "Get Away to Big Bay." 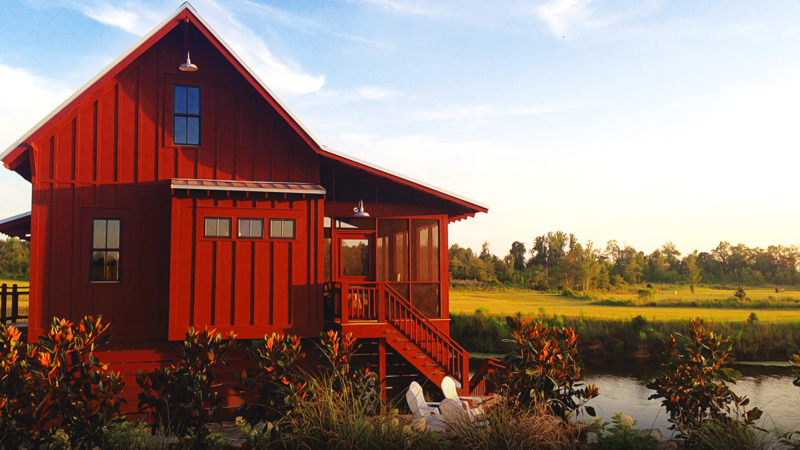 "Big Bay Lake is the real thing," says developer, Bennett V. York. "In today's complex world, we all have a need for authenticity. People want down-to-earth places where they're comfortable and can connect with friends and family. At Big Bay . . . the best is yet to come."